What constitutes a hero? For some it’s the escapism and excitement of a caped crusader, for others it’s a member of the emergency services being called to the rescue. For the team at Helpd, our heroes can be found a little closer to home. In fact, they’re present in some of our clients’ homes – our heroes are live-in carers. One thing that is very striking about later life care options is the fact that live-in carers are not often talked about. Many people do not even consider it as a possibility because they believe that the only real options are living in a care home or being visited by individuals supplied by an agency. In the latter case, people can be fearful of spending long periods of time alone, rushed visits that are timed to-the-minute, and uncertainty about which carer will be coming into their home. 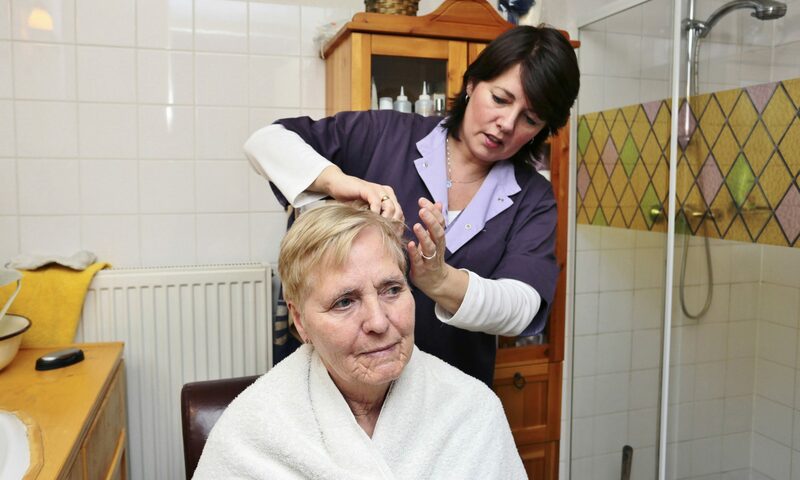 In the case of a live-in carer, they do exactly what their title describes – they live in the home of the person that they are caring for, making sure that their needs are attended to and providing a very important sense of companionship and reassurance. Helpd Ltd Are Providers of Live-In Carers, please call us on 0118 449 2373 for a chat. There are also live-in carers who provide specialist services including peg feeding and ventilator management, so even those with more complex needs shouldn’t feel put off exploring live-in care as an option. Visit www.helpd.co.uk/services/ to find out more. In what circumstances does live-in care work? One of the most distressing elements of failing health in older age is the pressure that many people feel to sell their home. This will often include having to sell or give away many of their belongings. Having a live-in carer removes that fear and addresses a host of common issues – from safely managing stairs and preparing meals, to managing personal and home hygiene. Many people do not wish to die in a hospital, but a lack of appropriate care can mean that the decision to die at home is taken out of an individual’s hands. According to a report from Macmillan Cancer Support, 38% of cancer patients die in hospital when only 1% of them would choose to do so1. Live-in carers can help to make sure that people who wish to die at home can do so in a way that is well-supported and centred around their needs. When a person is able to remain in their own home, it is easier for friends and family to continue to visit. If a person has lived in a rural community and is then moved to a care home in a town, these important social bonds can become broken which has a hugely detrimental impact. For an individual that is considering moving to a care home, the thought of having to leave a pet behind can be heart breaking. The British Medical Journal states that, “Pets may be of particular value to older people and patients recovering from major illness” and points out that the fear of being separated from a pet can lead to elderly people avoiding medical care2. Given these factors, if it is possible to help a person to remain with a much-loved pet, this could deliver significant improvements in overall wellbeing. Where do I find a live-in carer? Live-in carers are typically self-employed which means that the process of finding, vetting and interviewing a live-in carer can be challenging if you’re doing it alone. At Helpd, we overcome this challenge by providing a specialist service that enables people to find the kind of live-in carer that they’re looking for without unnecessary admin or worry. Independence – a little support can mean that the client can continue to live their life without feeling like they’re waiting for others to grant them permission or tell them what to do. Choice – the ability to select who they want to visit, where they’d like to eat or what day the laundry is done. Confidence – having familiar surroundings and the knowledge that someone is always on hand provides greater confidence which leads to less chance of accidents. Community – the support needed to maintain the social connections that are so important for overall well-being. For the families of the people that the live-in carers support, there can be a real sense that someone has ‘come to the rescue’ in their hour of need as they know that their loved one is being safely looked after in their own home. Looking for live-in care? Let Helpd connect you with one of our live in care heroes. Call us on 0118 449 2373 or email clients@helpd.co.uk.